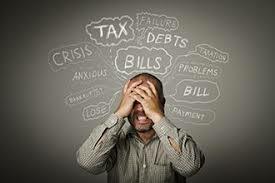 A large percentage of Americans Struggle with personal finances. It leads to dissatisfaction and stress in our lives. How can we fix it? 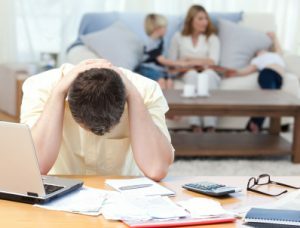 A recent Federal Reserve Study found that 46% of U.S. families could not afford an unexpected $400 expense. According to the FINRA Financial Capability Study only 40% of households spend less than they earn. 38% break even and 18% are going backwards—spending more than they earn. 19% overdraw checking accounts, 21% have past due medical bills and 28% of people have skipped medical care or prescriptions because they cannot afford the cost. From the 2012 study, 40% of people could probably not or certainly not come up with $2000 in an emergency. Interestingly, only 46% of people report having an emergency fund and only 56% report that they use a household budget. While lower income individuals are adversely affected at a higher rate, even higher income families struggle with the same problems. Only 53% of families making $75,000 or more per year spend less than they earn. And these statistics do not even reflect the incredible burden of consumer debt that most Americans carry. Many people live in financial turmoil, regardless of their income. How do we get out of it and find order and contentment in our lives? Our default reaction is to think “if only I had just a little (or a lot) more, I could get financial freedom and be happy.” But that just isn’t the truth. There are people all around the world and in our nation, that have much less than average, but still find happiness and contentment. This desire for more has proven to be false and even detrimental. Take this study for instance. It found that incomes over 75,000 actually do nothing to bring more contentment or emotional well-being. So if making more money isn’t the answer, what can we do? How do we stop living unexamined lives of quiet desperation? How can we manage our finances in a way that brings order and peace instead of turmoil and stress? Is it possible to find contentment, purpose, fulfillment, and even joy in our life with our current financial resources? I believe you can. In the next post, I’ll describe the solution.